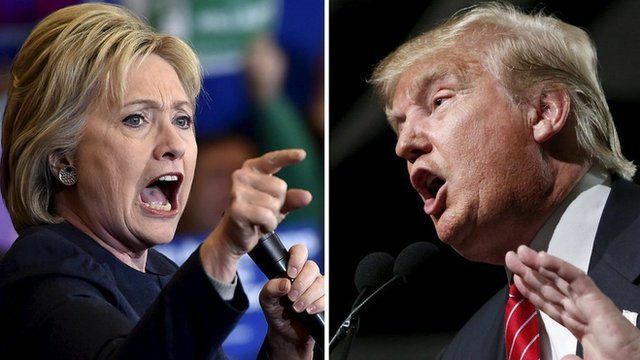 A philosopher argues that it is not possible for him to vote for either candidate for president in the US election. This will be the first presidential election since reaching voting age that I’ve sat out. I will not vote for either major party’s standard-bearer. The nominee of one party has never believed in anything but self-promotion. He is characterologically incapable of holding any principle, save that one. He is a narcissist; he is a sociopath; and as a consequence of having so little interest in external reality, he is not of sound mind. Long ago, the other nominee seems to have believed in principles, but they were profoundly wrong ones. Besides, she has promoted herself as a means to her ends for so long that at last her means have displaced her ends; the principles to which she once devoted herself have at last become a mere means to herself. Her ideology persists, but only as a sort of reflex or mental tick. So although she has reached it by a different path, her destination is much like the other nominee’s. Some honest people, many of them my friends, believe they must vote for the sociopath to keep the criminal from taking office. Others think they must vote for the criminal to keep the sociopath from taking office. Both groups think one must choose between a wild card and a known evil. As they see it, the only question is which is worse. I sympathize with both groups, but I think they have misconceived the nature of the choice. The analogy with poker is misplaced, for this wild card is wilder than they think. It does not just take different values; it is playing a different game. And the reference to “known” evils is misplaced -- not just because evil cannot be “known” in itself – for it can certainly be known in its effects – but because this sort of evil is the sort that breeds. Besides, there is a third alternative. One can say “No” to both nominees. My honest friends think saying “No” to nominees is irresponsible. One group fears that to say “No” to the sociopath is to elect the criminal; the other, that to say “No” to the criminal is to elect the sociopath. Understandably, they say one must follow the path that minimizes evil. One must try to save as much as one can. I do not disagree. The question is what it is that one is saving as much of as possible. By saving as much as one can, my honest friends mean saving as much of one’s policy goals as one can. But in the first place, there is no longer any path to saving decent policy goals. For example, although it is true that a victory by the criminal would spell the triumph of the party which is programmatically committed to death, a victory by the sociopath would spell the destruction of any pretence to the other party’s commitment to life. In the second, this time the stakes are greater than policy. We are not playing for this law or that; we are playing for the rule of law itself, in which neither nominee believes. So I do propose saving as much as one can -- of something else. Whether the republic itself can be saved is uncertain; time will tell. But there will be no republic without conscience, and we can save every farthing of that. Each must follow the certain judgment of his own conscience, and this is mine. May God have mercy on us all. * I will it, I insist on it. Let my will stand rather than reason. J. Budziszewski is a Professor in the Departments of Government and Philosophy, University of Texas at Austin. This article has been republished with permission from his blog, The Underground Thomist. The trailer for Professor Budziszewski's book, Commentary on Thomas Aquinas's Treatise on Law, is here.